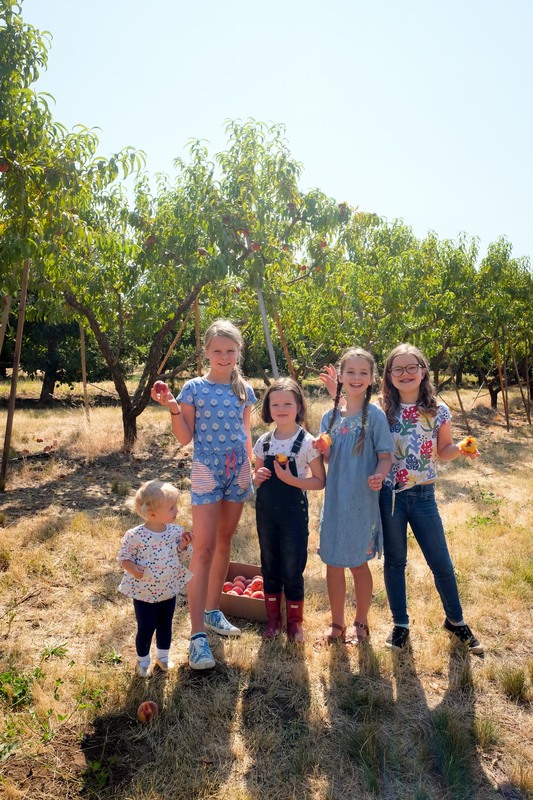 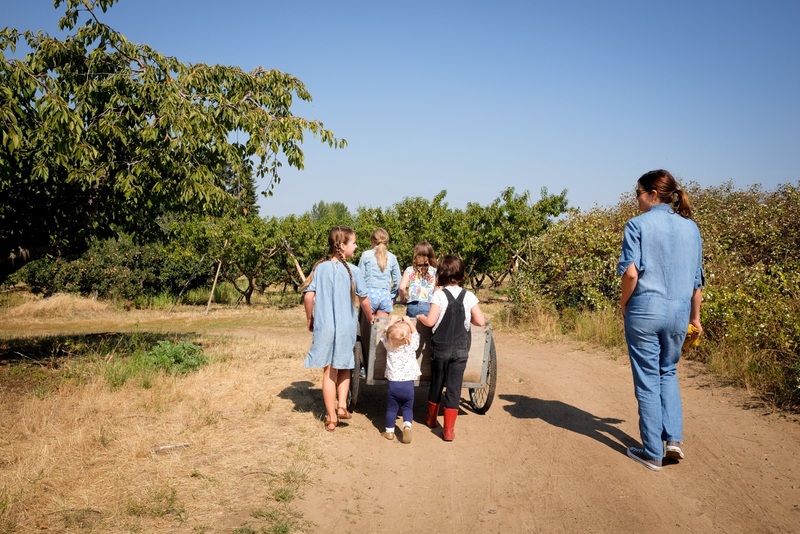 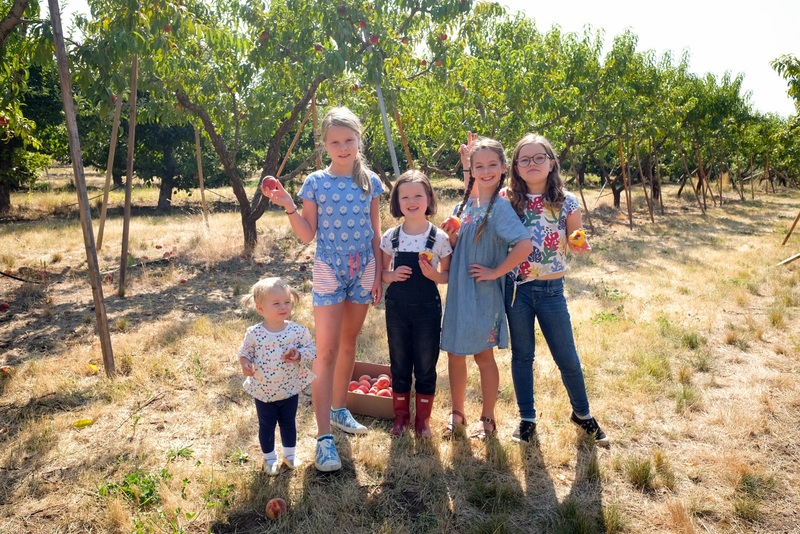 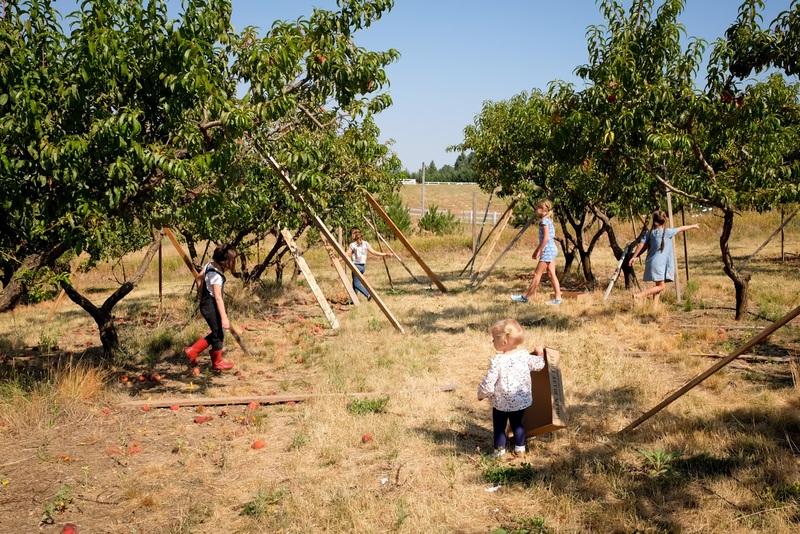 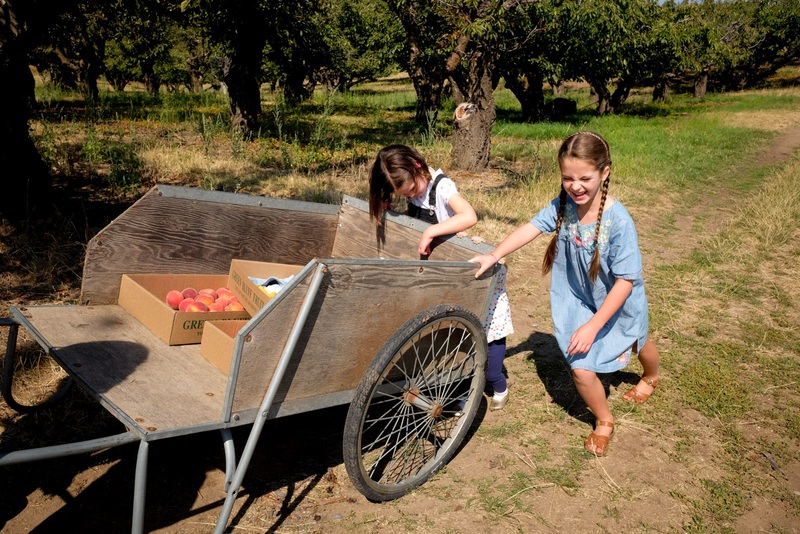 Last week we went up to Greenbluff with some of our favorite people and we picked peaches and some plums. 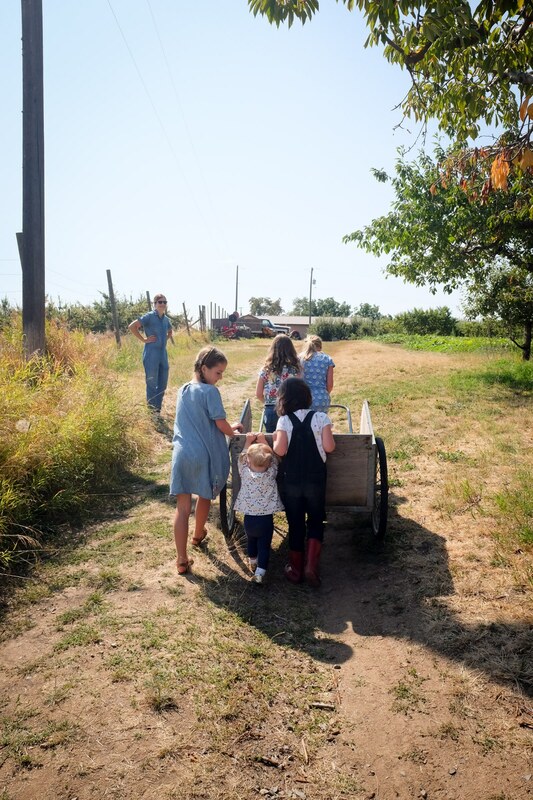 The farm we went to has little handcarts and the kids all loved pushing and pulling ours around. 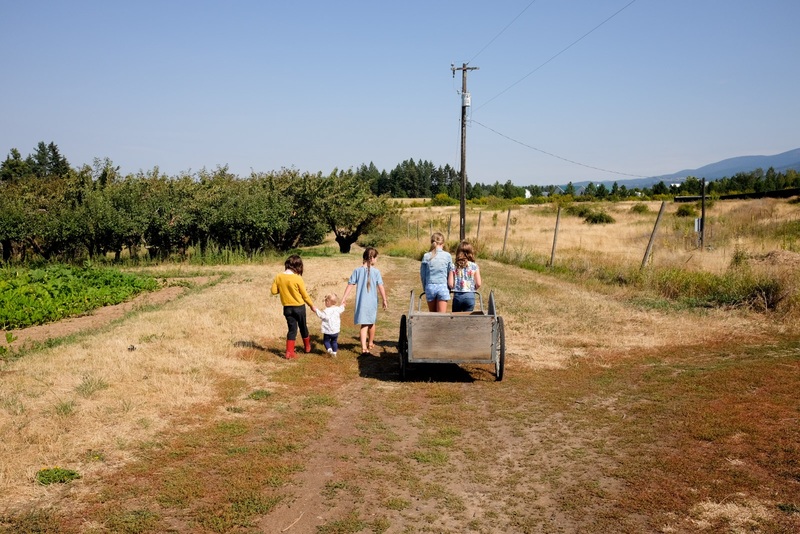 This same farm had some sheep and a pig the kids could look at and it had a fun little cabin that made for some great play and make believe! 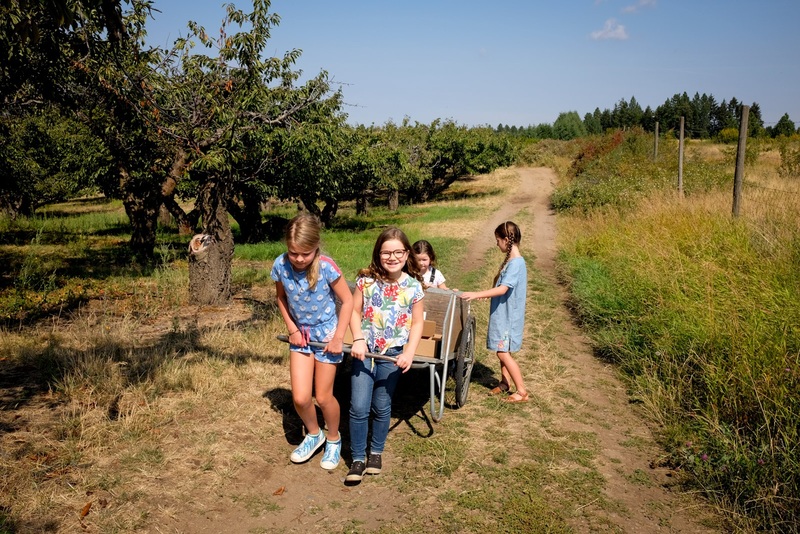 These girls are so creative and fun.